We have heard a lot about him. 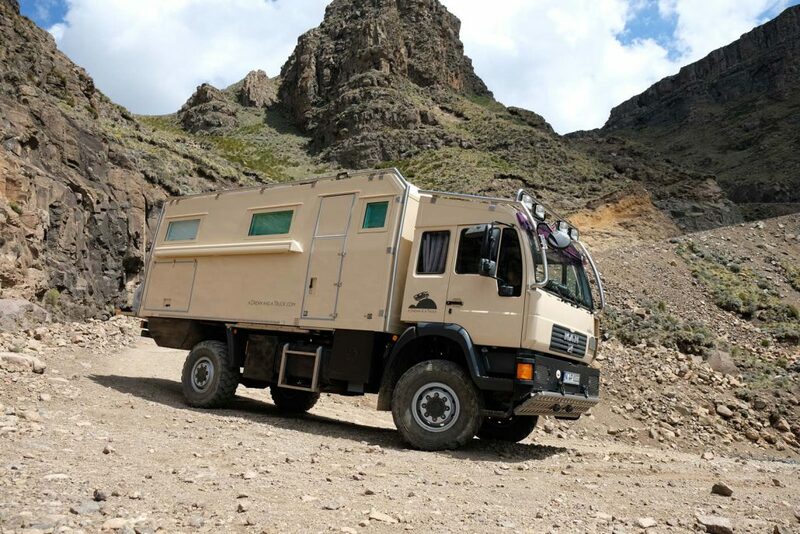 Now we want to explore Sani Pass on our own. 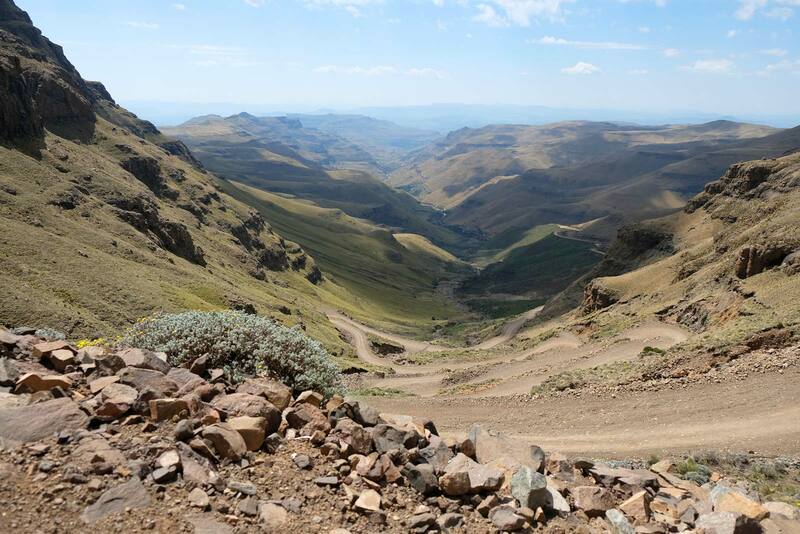 On a distance of 35 kilometres the rough mountain road winds up more than 1,300 metres to the border control of Lesotho at 2,876 metres altitude. What a task! 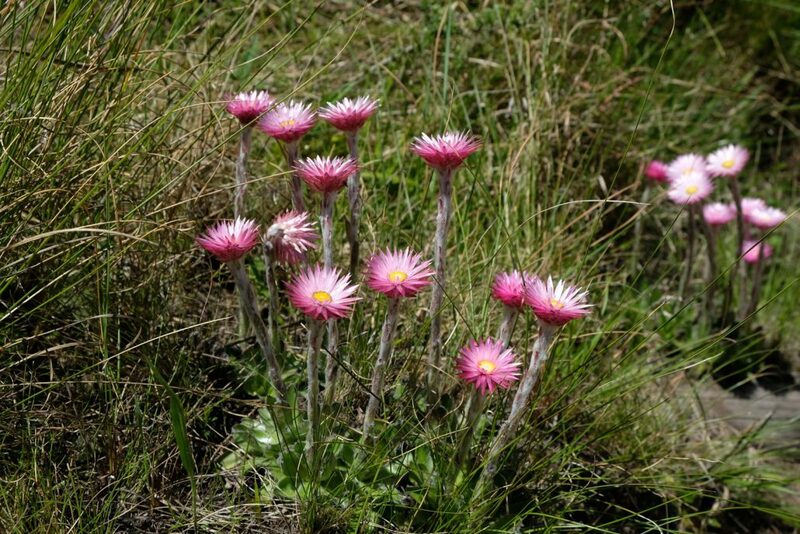 „Sani Pass is beautiful, you must go there! 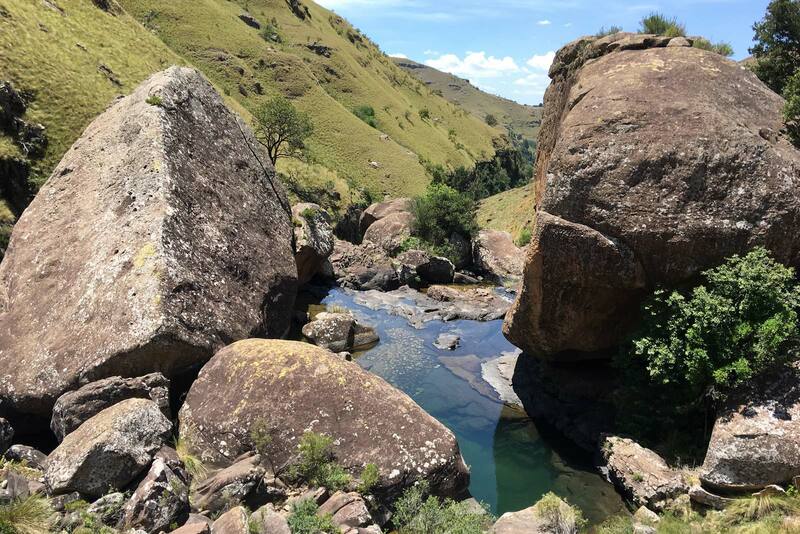 But never drive it when it’s raining, that’s far too dangerous.“ Having these words of Conny and Tommy from MANTOCO in mind, we arrive at the little town of Underberg. It is sunny, nice and warm when we go grocery shopping and have a little lunch at the homelike café „The Lemon Tree“. Less than an hour later weather changes quickly, suddenly it’s cold and rainy. 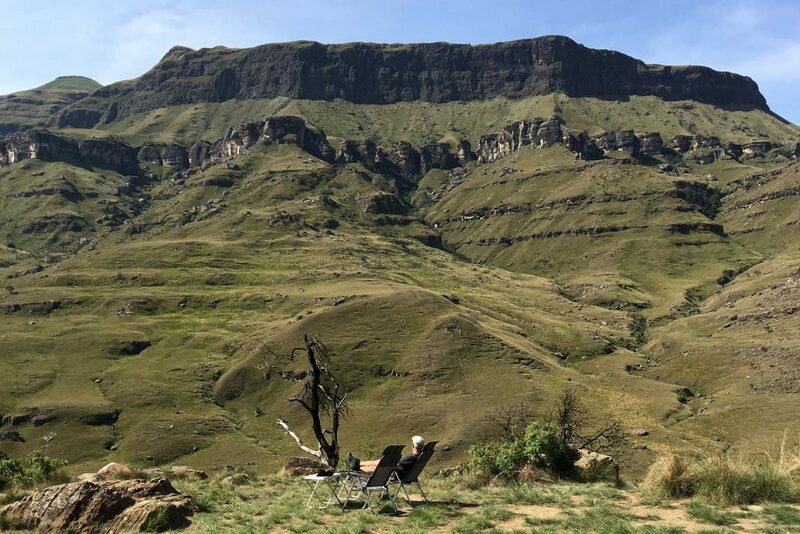 So we stick to our base camp for two days while reading and waiting to do Sani Pass. 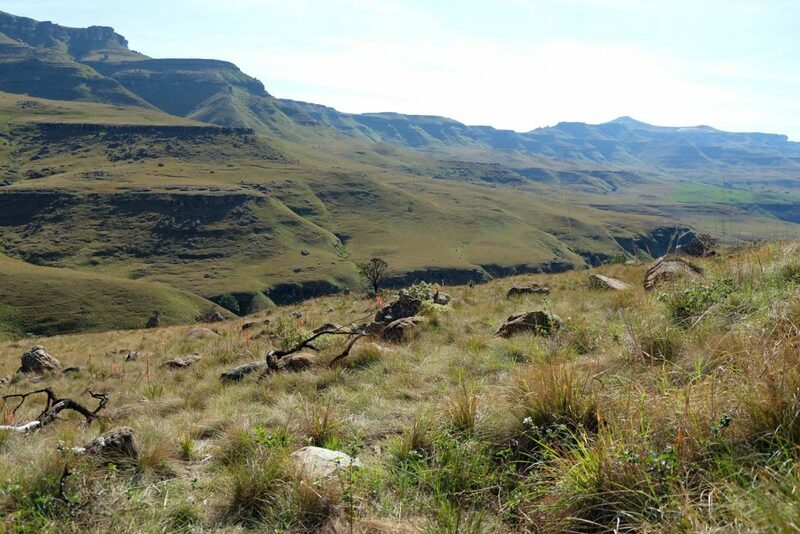 We are staying at uKhalamba or Drakensberg Park in the province of KwaZulu-Natal. 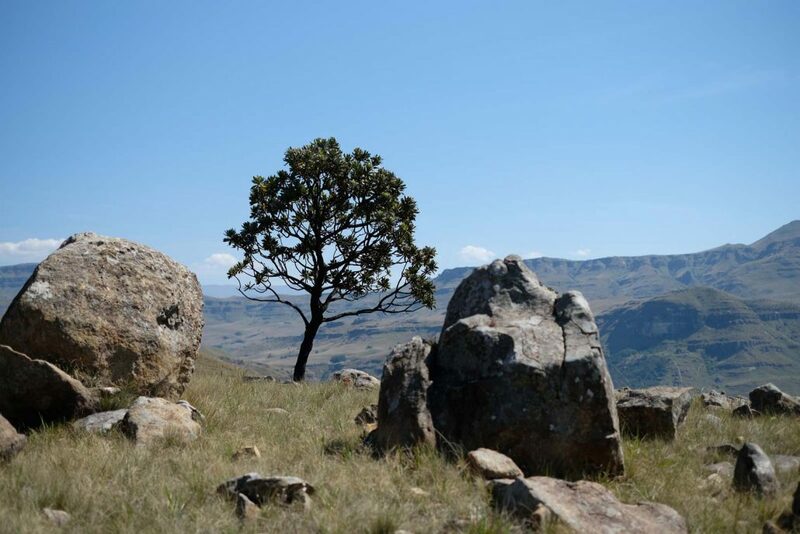 The locals call Drakensberg mountains just „the Berg“. 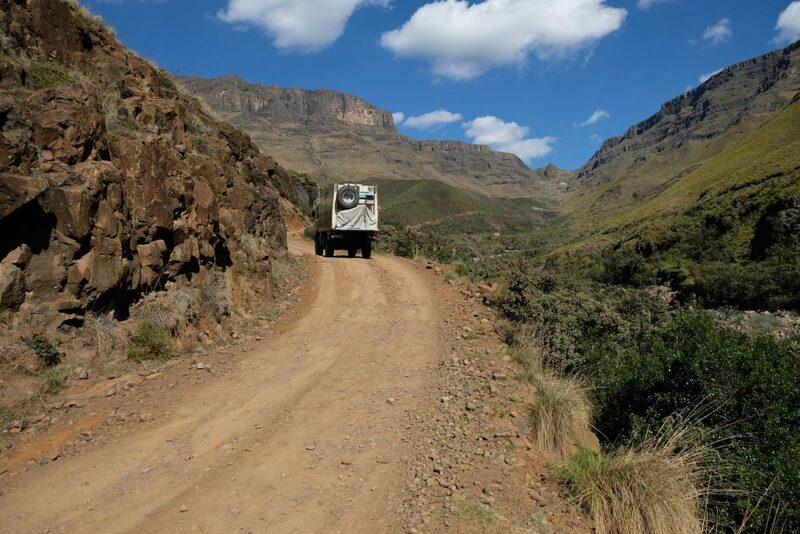 Sani Pass is adorned with superlatives of many kind: breathtaking, spectacular, not easy to drive, highest mountain pass of South Africa, third steepest mountain pass of the world, only allowed for 4×4 vehicles etc. The pass winds up along many kilometres. The steepest passage are the last one and a half kilometres with eleven hairpin curves. 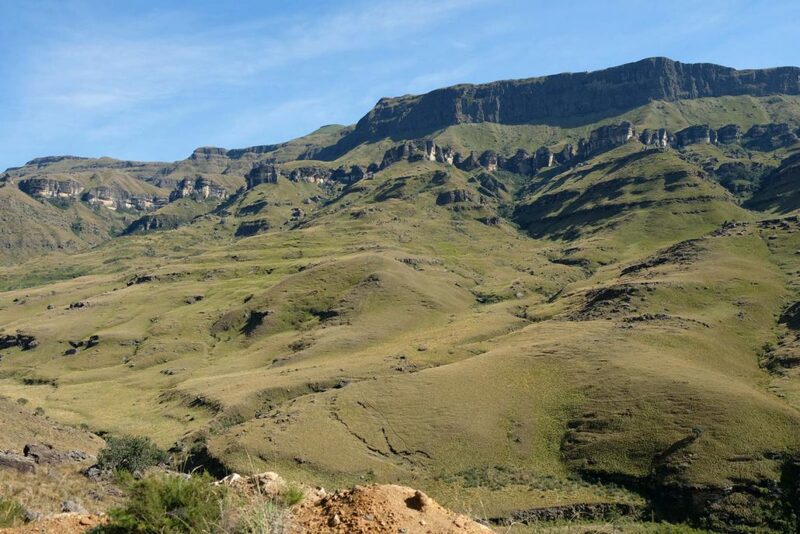 “Today Sani Pass is on our adventure to-do list. Prior to our journey I read a lot about this pass. 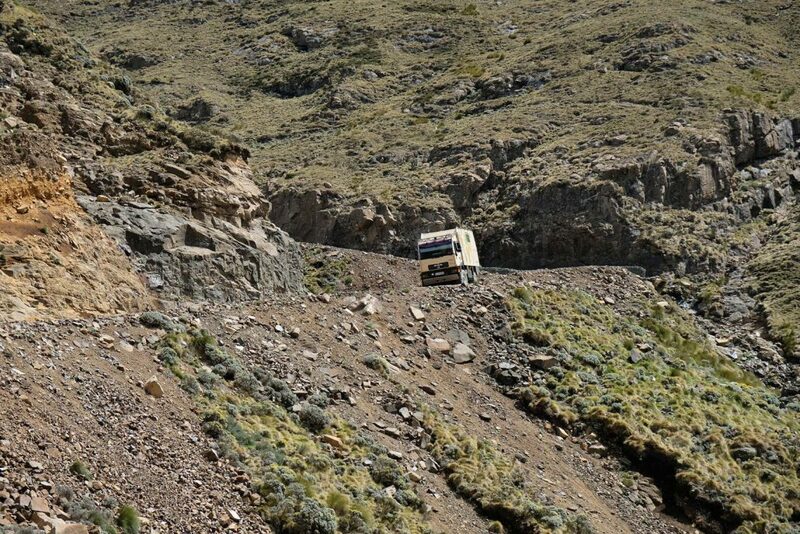 By law it is allowed for 4×4 vehicles only, recommended only for drivers with adequate off-road skills, you never should underestimate the pass and time and again there are accidents on the very rocky and narrow piste. 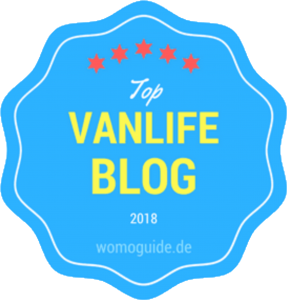 Information, that doesn’t really embolden me to do it, and which I better keep to myself to avoid losing my beloved co-driver and wife to a alternative event like hiking for example. 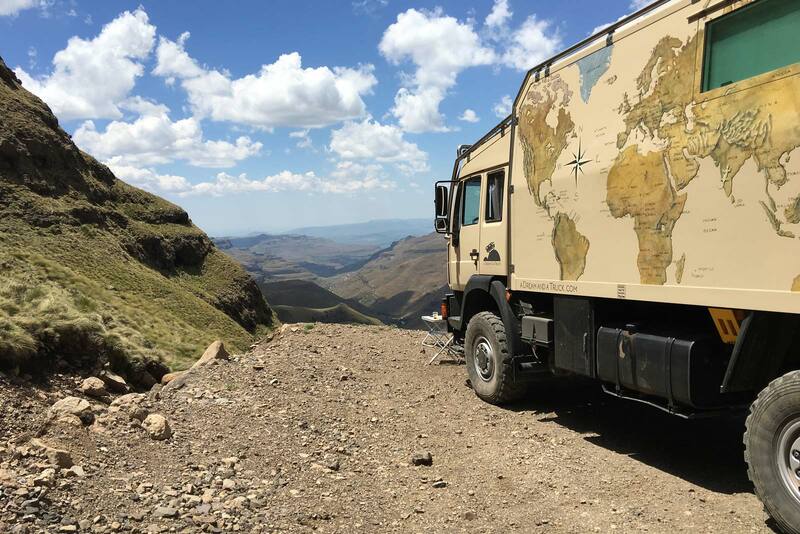 Even to know that our friends of MANTOCO successfully managed Sani Pass with their truck is only suitable to a limited extent to me. A lot of focus and adrenalin is provided for. No sooner said than done! At the third day early in the morning the sun gets us from bed and send us to the Berg. During our last two grey rainy days we had no clue of the beautiful mountain scenery, that now proudly presents itself in the warm morning light. 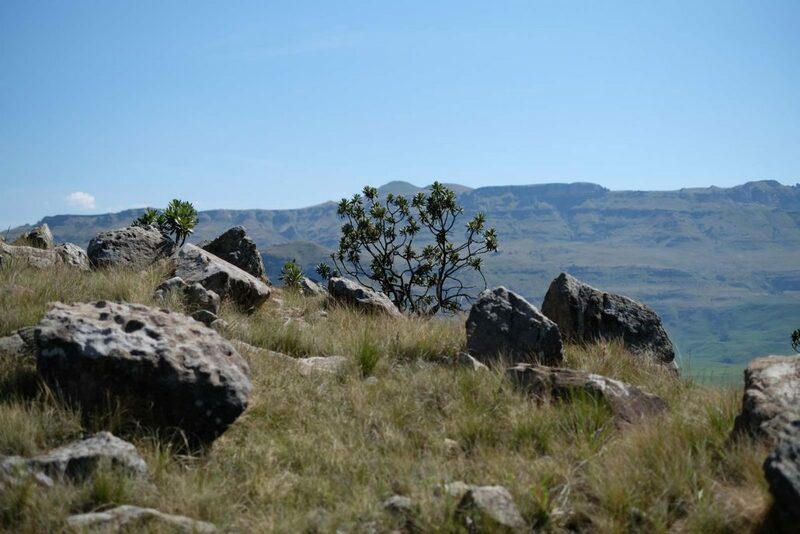 Metre by metre we are riding on our truck along the gravel road passing green hills and towering rocks. The impressive Twelve Apostles come closer. Far in the distance we even can spot the winding curves to the top of the pass. 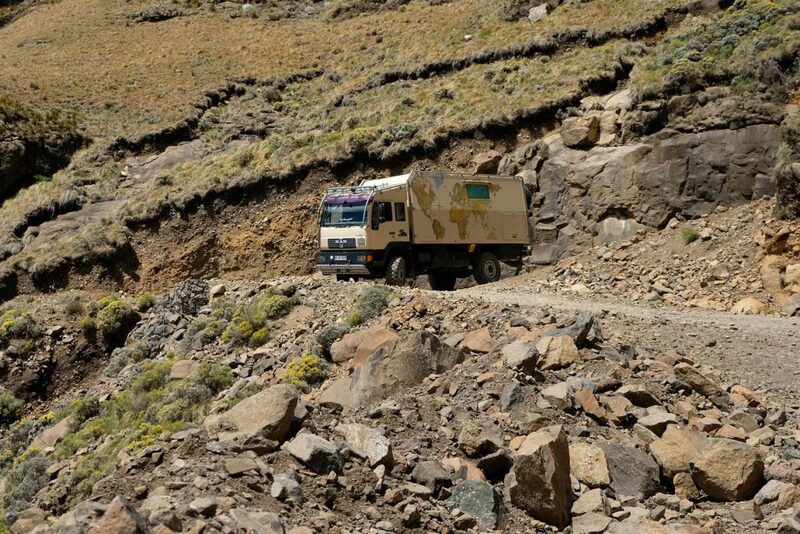 The mountain road is wider than we expected, it is rocky and shows a lot of pot holes. Well, yes, it’s a piste not a motorway. There is only the two of us and our truck. We enjoy the early morning hours, the amazing view and the quickly changing backdrop. The trip is cosy and after a while we arrive at the particular part of the route that demands the most from Win. Eleven hairpin curves follow one after the other in short distance, our truck sometimes can’t take with the first lock. Then we have to go a little bit forward, a little bit backward, try it again, take the bend, done! Finally we happily arrive at our destination at the border control of Lesotho. 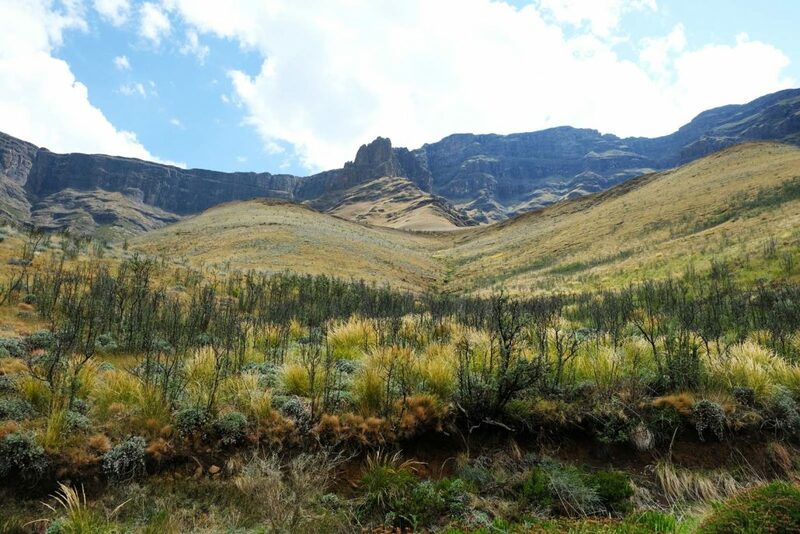 We skip our visit of the highest pub in South Africa and after a short break we prefer to drive down the pass from where we came. 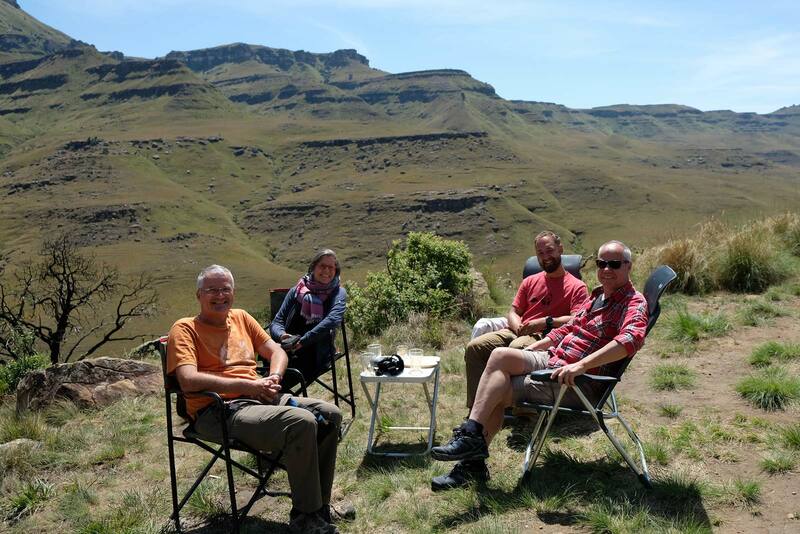 We park our vehicle at a viewpoint below the top and while having a second breakfast we enjoy the stunning view, the game of the clouds rolling by, the flight of the birds, the heat of the sun. Once upwards and downwards again, what a great day trip! 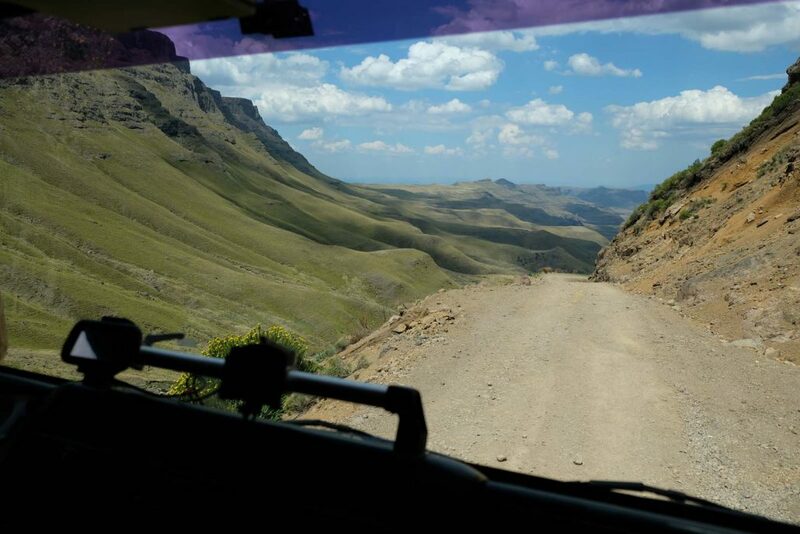 Now we know that driving Sani Pass can be managed and it’s worth to do it. Both of us are very proud and happy, that we did it. 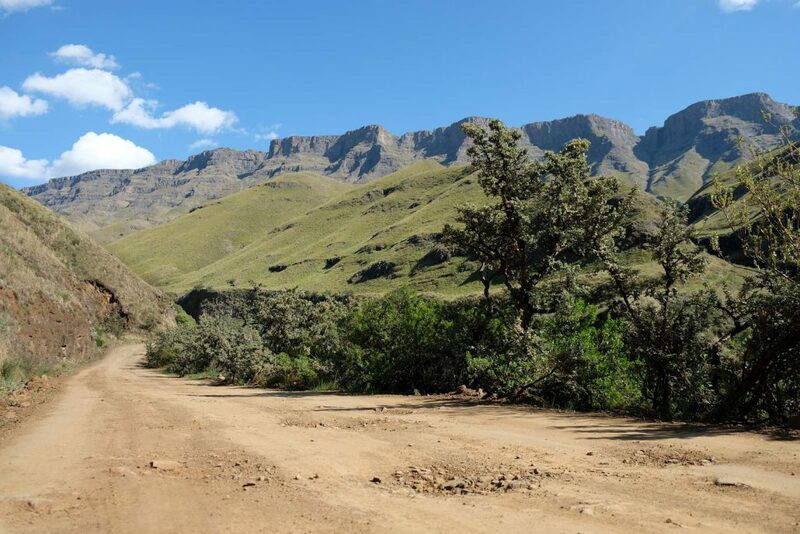 Especially due to the fact that Sani Pass Road soon will be covered with asphalt and then there will be one off-road adventure less in the world. It’s a pity, isn’t it? Meeting beautiful people in the middle of a beautiful scenery. 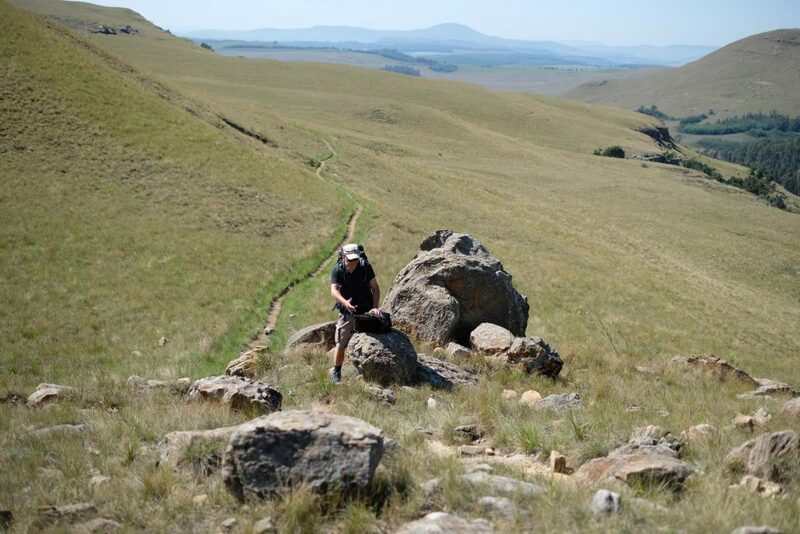 At Sani Pass 4×4 training was announced, today training for our legs is on. 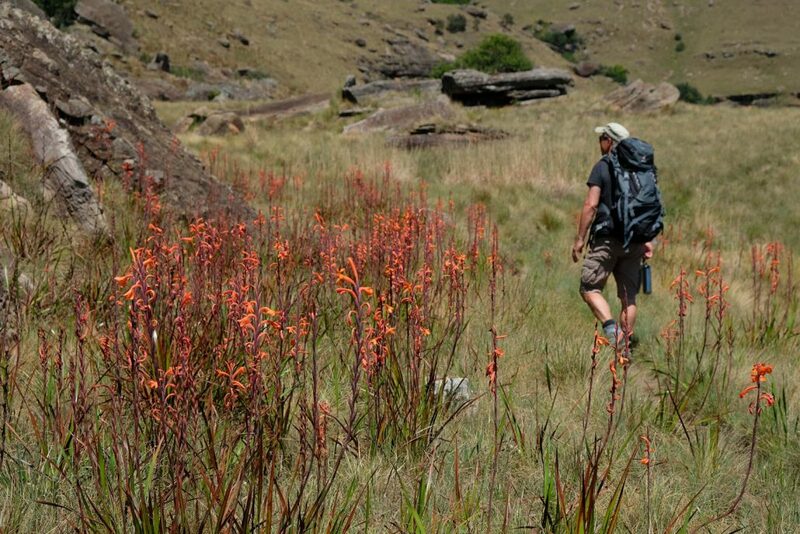 We buy a permit for a five hour trail to Stromness mountain and Gxalingenwa Valley at the camp. After we’ll have finished the trail we’ll have to bring back the map and let the reception know we are back and didn’t get lost on the trail. 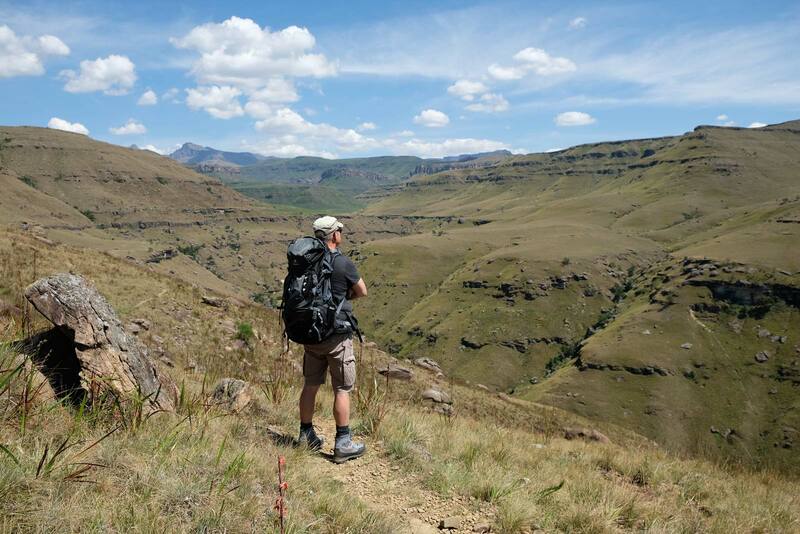 That’s South African mountain search. After the first kilometre up to mount Stromness we already run out of breath. 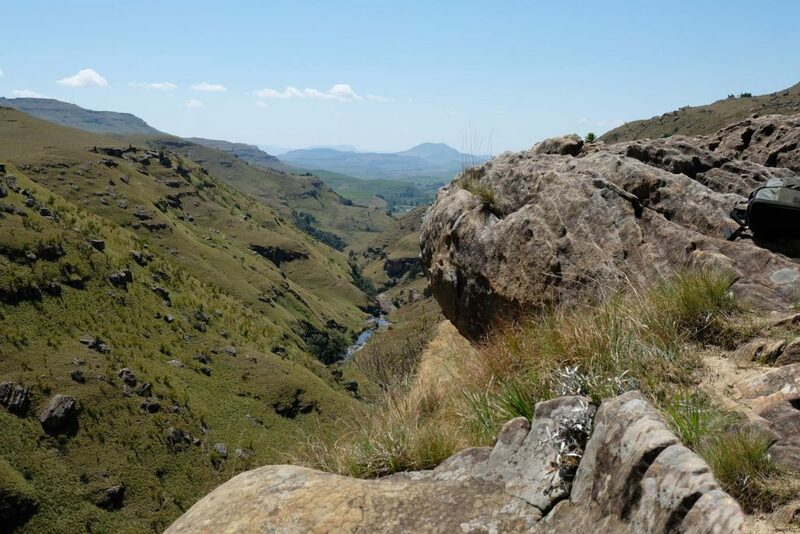 We blame it on the rare mountain air and quickly recover by enjoying the stunning view at the top. It is early in the morning. The sun conjures a golden light on the landscape and she already is burning quite hot from above. 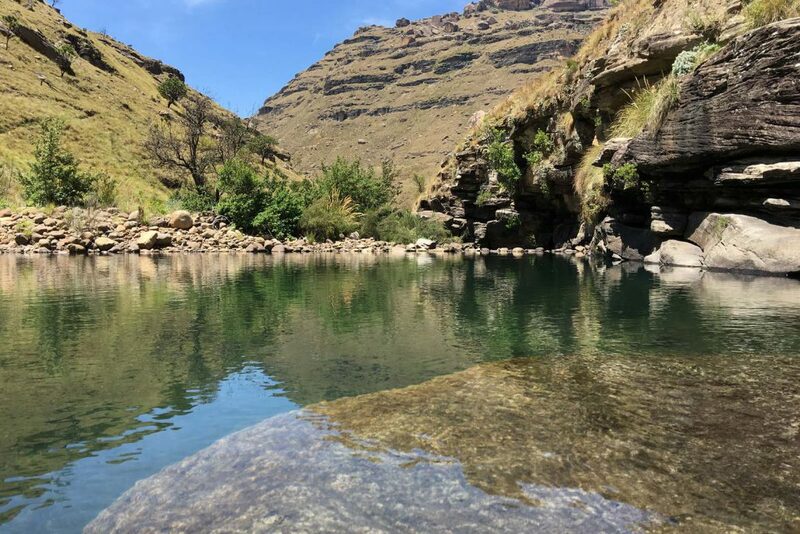 During our cheerful hike we watch beautiful mountain sceneries and extended pasturages, walk on narrow paths crossing meadows, climb through a cave, frequently cross the icecold mountain brook Gxalingenwa, admire it’s gorgeous gorge and take a bath in Ngenwa Pool, one oft it’s natural pools. The hike is unbelievable rich in variety. 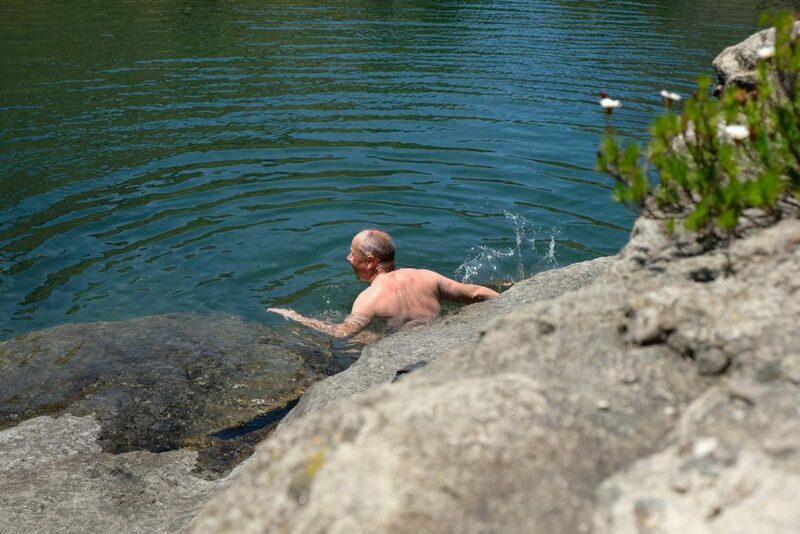 After five hours we feel more than satisfied and are happy with a beer nice and cool at the camp. Prost!